Lexington, Ky.—Feb. 11, 2019—The U.S. Hunter Jumper Association is pleased to open applications for the inaugural USHJA Platinum Jumper Championships, which offer Professionals, Juniors and Amateurs competing at 1.40/1.45m team and individual competition, as well as an opportunity to qualify for the 2020 USHJA Platinum Masters Training Session with top national and international industry experts. "The Platinum Jumper Championships are the culmination of the USHJA's Jumper footprint on our sport, and we're absolutely overjoyed to be able to start this program this year," said Larry Langer, chair of the USHJA Emerging Jumper Rider Task Force. Designed for athletes competing successfully in the 1.40/1.45m Jumpers, athlete/horse combinations qualify for the Platinum Jumper Championships by earning a minimum of $250 and completing an application at least 45 days before their zone's Platinum Jumper Championships. The Championships are restricted to those athlete/horse combinations that have not competed in a High Performance Standard Grand Prix or any class held at 1.60m in the current competition year. Individual medalists from the Platinum Championships and select Wild Cards will be designated as USHJA Show Jumping Platinum Athletes and will be invited to the Platinum Masters Training Session in 2020. During the Training Session, athletes will participate in advanced workshops and training sessions with top national and international clinicians and industry specialists, covering topics such as advanced media training, physio for athlete and horse, business contracts and best practices, syndications, young horse conformation and selection, health and fitness for athlete and horse, and exercises that improve horse performance. 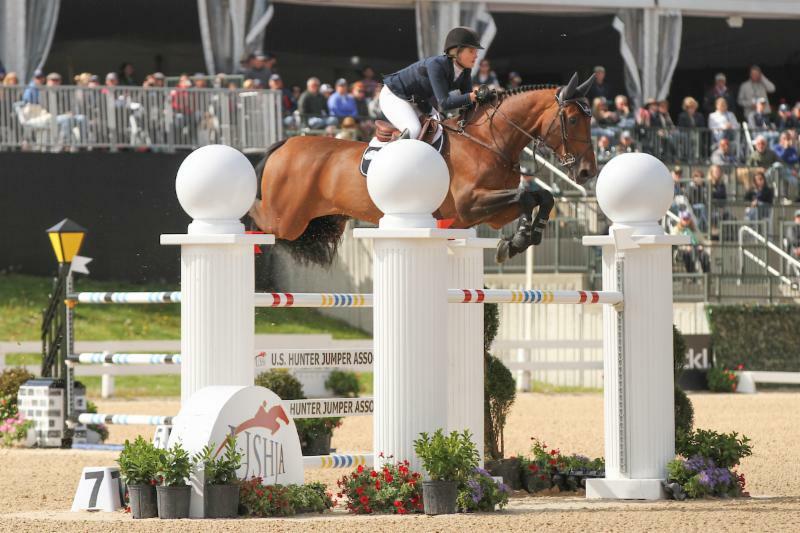 US Equestrian and USHJA are working together to ensure identification and development of Show Jumping athletes throughout the United States. The organizations are providing the guidance and information for an athlete's journey up the pathway of the Jumping sport and perhaps an opportunity to represent the United States in international competitions and national championships. Learn more about the USHJA's comprehensive Emerging Jumper Rider Program, which offers competitive and educational opportunities from 1.10m through 1.45m, as part of the U.S. Show Jumping Athlete Pathway. Apply for the Platinum Jumper Championships at ushja.org/platinumjumper. Learn more about the USHJA Emerging Jumper Rider Program at ushja.org/emergingjumper.